Gina owns and runs GS Custom Bullets and has been using HP and HV bullets since she and her sister started hunting in 1996. Hunting has always been a family outing and, with the demands of a growing business, has not been possible for her for the last three years. 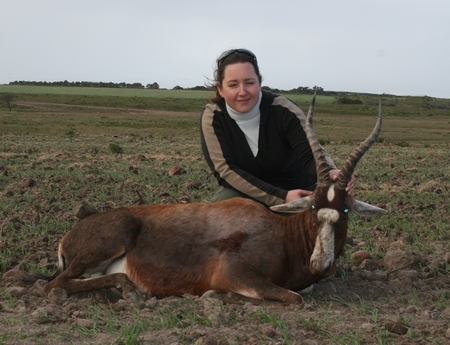 This year she decided to take a well deserved hunting break on her own and arranged a week of Eastern Cape hunting. 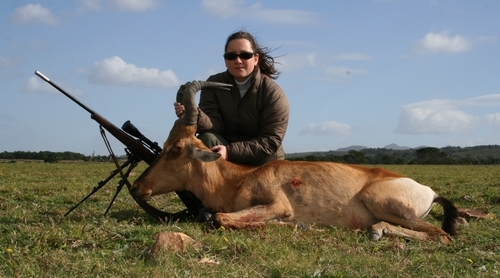 Gina used a custom built 7x57 with GS Custom 130gr HV bullets (285130HV064) at 2850fps. Red Hartebeest, also hunted on The Burns with the 7x57. The old bull was probably in his last year. 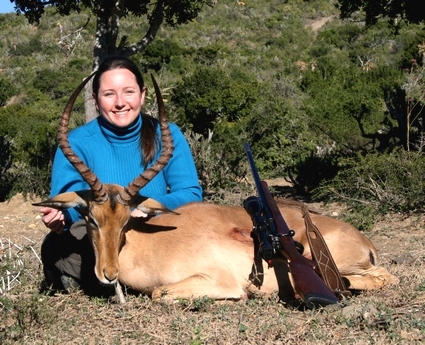 Gina took the Impala in the Grahamstown area hunting with PH Jason Randall. The area where they hunted is dense and shots are often only possible from one side of a ravine to the other. This is how Gina eventually took the shot. The Impala dressed out to 46Kg and we look forward to good eating. 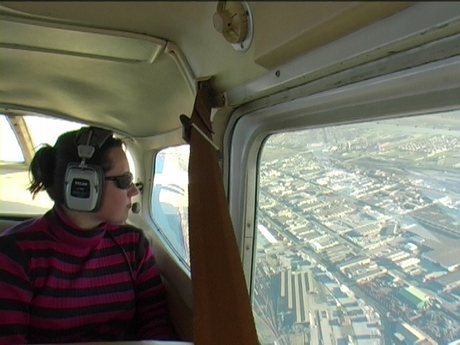 Taking off from Port Elizabeth on the way to The Burns.